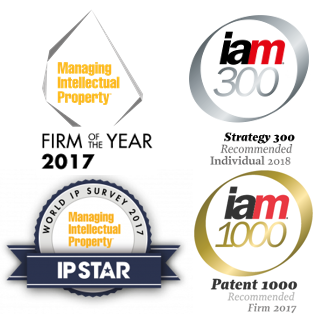 Emily has over 15 years experience in the intellectual property profession. This includes time working in London in the IP department of Linklaters, in the London trade mark firm Grant Spencer Caisley & Porteous, as well as in the French IP firm Cabinet Hirsch. Emily maintains her connections with the profession internationally and is a member of and regularly attends conferences operated by INTA (International Trade Mark Association) and PTMG (Pharmaceutical Trade Mark Group). Closer to home Emily is also a member of NZIPA (New Zealand Institute of Patent Attorneys), and IPSANZ (Intellectual Property Society of Australia and New Zealand). Emily’s practice consists of a mix of international and local clients ranging from SMEs to larger corporate enterprises. These clients come from a variety of industries including food and beverage, pharmaceuticals, technology, film and entertainment, insurance, farming and agricultural, building, clothing and textiles, automotive, wine. Although Emily has vast experience in dealing with trade mark clearance searching, protection of trade marks, and portfolio management, the majority of Emily’s work is contentious in nature and her clients value her expertise in dispute resolution, risk management and the negotiation of settlement agreements. Emily’s practical and proactive attitude towards her clients’ brand issues means she is recognised for her ability to provide strategic and commercially useful advice. She works closely with her clients to first understand their businesses and then find a solution to their branding issues which best suits their requirements.